The Euro remains popular. Lithuania declared that it wants to join the Eurozone in January 2015 and the Commission confirmed that the small Baltic country fulfills all the criteria. At the Brussels summit on 27 June 2014, the EU Council not only voted in favor of Jean-Claude Juncker as the next president of the EU Commission, and signed partnership agreements with Georgia, Moldova and Ukraine, but importantly as well included a statement that Lithuania will become the 19th member of the Euro. I remember vividly that many of my friends in 2010 in the U.S. told me that the Euro would fall apart. Now, the Euro is back on his feet and enjoys popularity among member states. Already in 2006, Lithuania was very close to get into the club. Four of the five criteria that a country has to fulfill were in order. However, a rather ridiculous 0.1% of annual inflation was too much for the European Commission and rejected the bid of Vilnius to join. It was the only time so far that the Commission has refused a country to adopt the Euro. Shortly after this failure, Lithuania experienced the deepest troubles since independence in 1990. The crisis was not necessarily homemade but rather the result of the Lehman disaster in the U.S. in 2008. A new government led by prime minister Andrius Kubilius implemented a tough convergence program that became even more radical in May 2009 because it did not go deep enough at the time. 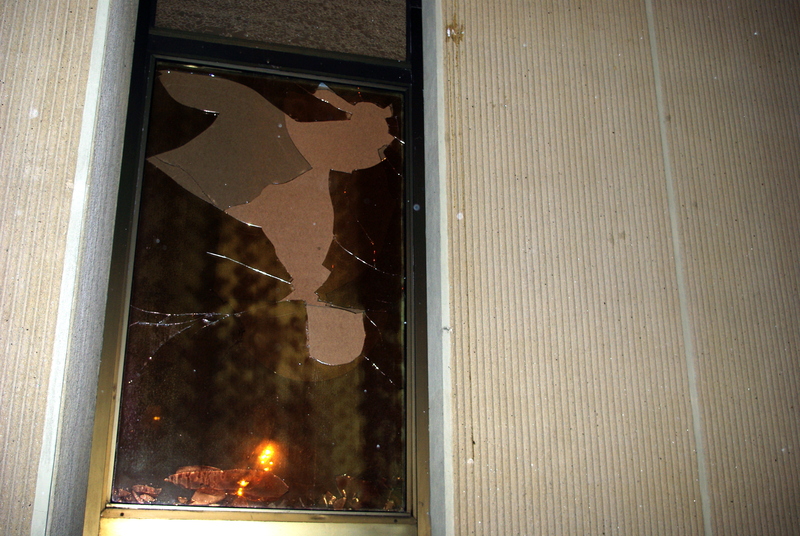 People were in shock and also attacked the parliament at one point. These radical measures helped Lithuania to avoid a default but the GDP fell by 14.9% (!) in 2009. In fact, Lithuania avoided as well an IMF program in contrast to many other countries (like Latvia as well). The confidence of the international credit market was sustained. However, the population had to suffer a lot as unemployment rates stood at 17.8% in 2010. Moreover, public salaries were cut by 20% and the gross average cut was 12.4%. These numbers are simply staggering. The government seemed to have done the right thing and contradicted all the predictions of the IMF that deflation and long recession would be the result of their policies. As a matter of fact, the recession lasted only one year. The measures worked that well that in 2011, Lithuania was one of the fastest growing economies with some 6%. The last two years, the Lithuanian economy enjoyed 3.5% of growth like in the pre-crisis years and seems to be on a very healthy track. Unemployment is still high, with 11.2% in April 2014. Minimum wage rose but it only stands at €290. Moreover, a lot of people left the country out of despair during and after the crisis. Today, not even 3 million people live in Lithuania. On a more positive note, Lithuania managed the first half of 2014 very well with their first presidency ever of the EU, and Lithuanians are very much approving the job that their government had done. In October 2013, the Lithuanian government estimated that four of the five criteria were fulfilled another time. Only the annual deficit was slightly too high. In 2014, this number was brought under control and is comfortably under the exceeding limit of 3%. Thus, the EU Council will approve Lithuania at the end of July 2014 and irrevocably fixed conversion rate between the Litas and the Euro. Although many Euro members themselves currently do not fulfill the criteria, Lithuania is a shining star in comparison to countries like Greece or Italy. Particularly impressive in comparison to other Eurozone members is the comparatively low Debt-to-GDP deficit that stands at only 40% and thus well below the 60%. Inflation is not an issue anymore in Lithuania either, in fact there is rather a threat of deflation. The people in Lithuania are rather split about the move of their government about the Euro. Now, 46% are in favor while 48% of Lithuanians are opposed to the new currency. These numbers of Eurobarometer of April 2014 are much better though than in April 2013 when only 41% were in favor while 55% were opposed to the Euro. Certainly this is very much related with a general fear of many Lithuanians that a “symbol of identity” is lost that has been regained after the fall of the Soviet Union. However, thanks to information events in more than 40 cities and towns across Lithuania on the Euro, the overall mood for the Euro seems to get better. In general, there is a very informative website out there for Lithuanians and others who are interested about the introduction of the Euro: http://www.euro.lt/ (also available in Russian, but not in Polish). As the two other Baltic countries are already part of the club, Latvia joined in 2014, Lithuania is the last one to follow. 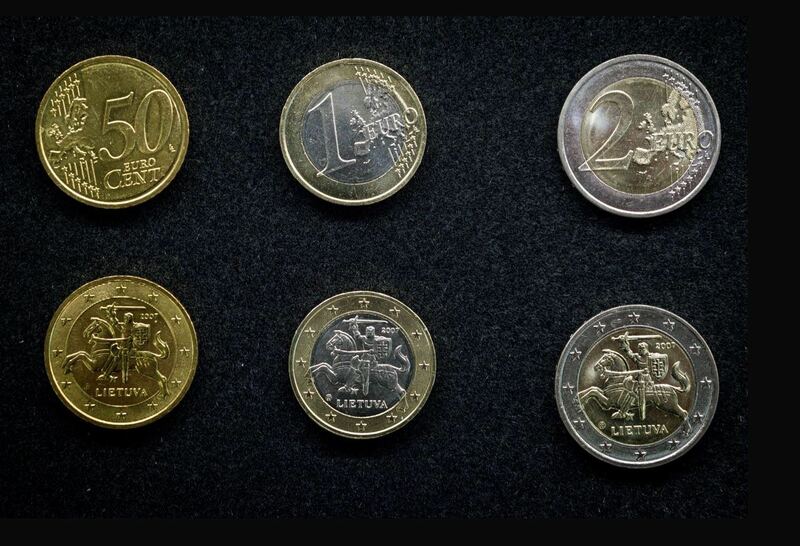 In case you have an idea how the Lithuanian Euro coins should look like, you can also check out this website. Lithuania’s economy is already now rewarded by the introduction of the Euro as Fitch upgraded the country’s credit rating to A-. In addition, Lithuanians will not lose money to exchange their currency within the Eurozone when they travel, study or work abroad. There is also the hope that people and enterprises can borrow at lower interest cost. And the Euro was certainly also a motivation to introduce the very tough measures of reforms after the crisis. Now, the benefits can be harvested although there will be a still a long way to go that the big majority of Lithuanians will be able to increase their living standard. Well, the euro will have some benefits for large businesses, but in general I’m a bit skeptical about it. First of all, the crisis was managed with strict austerity measures and the “cost” of crisis was divided not equally, meaning that the poorest social classes where hit the hardest. Today, there is no dialogue of any sort that the benefits should be restored to pre-crisis level and the austerity measures are rather a new reality. Moreover, there will be more cuts in the public sector and also there are plans to privatize higher education institution and other public facilities. Secondly, Lithuania ranks at the bottom positions of EU 29 (according to Eurostat) by inequality, poverty rate and minimum salary. Knowing the trends that with euro usually the living costs doesn’t decrease I wonder how it once again will affect the working class people. We might once again expect increased emigration rates (so far one fifth of population emigrated since the 90′s).